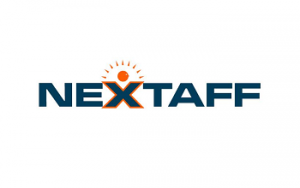 When you join the NEXTAFF Franchise network, you'll be able to set yourself apart from the competition using our proprietary recruiting method called XFactor. You'll gain access to our expertise, technology, back office support, marketing and business development resources. You'll enjoy all the benefits of being part of a large, national organization while retaining the flexibility to control your own business and your own future. The Employment Industry is Booming! It’s no secret that staffing is a great industry. The Bureau of Labor Statistics forecasts staffing will continue to be one of the top 10 job-growth industries in the U.S. through 2018. Employers need your services. Job seekers count on you to find work. And you play a major role in making organizations more efficient, productive and profitable. So what can you do to stand out in the market? You can be an owner of a proprietary solution within the 140B staffing industry that will address the 21st century needs of employers. The good news is that employers need more from you. They need recruiting and they need real solutions to their workforce challenges. NEXTAFF has developed a franchise opportunity specifically for b2b sales professionals and seasoned executives. Through our Workforce Strategy Franchise program, we will enable you to offer proprietary services as well as complete workforce strategy solutions. Ready to learn more? Fill out the form below to take the next steps. As a Nextaff franchisee, you’ll gain access to our expertise, technology, back office support, proven marketing and business development resources. If you have ever thought about starting your own staffing business, this might be the right opportunity for you.